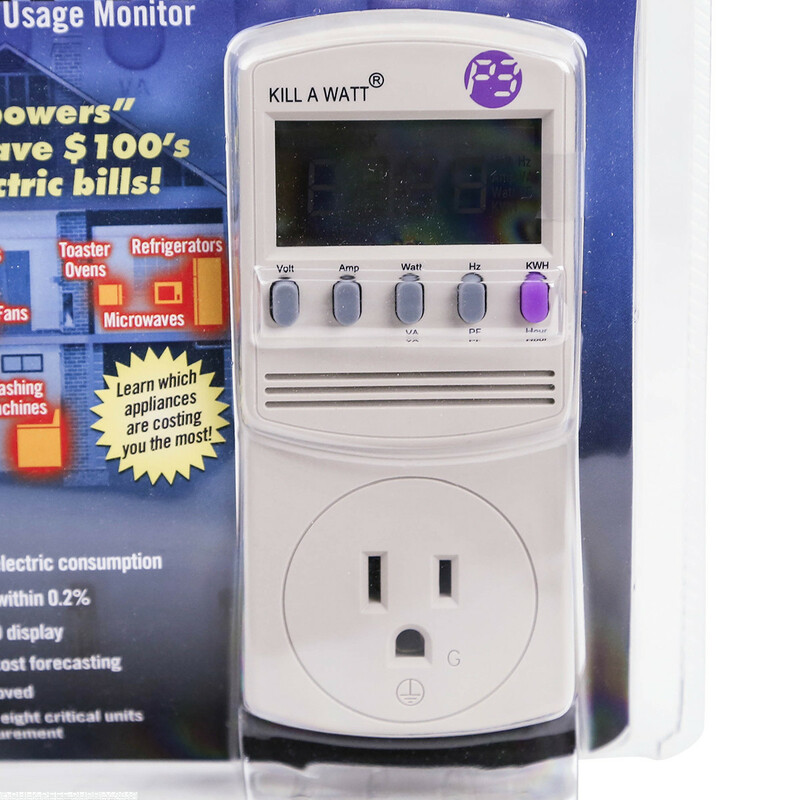 Monitoring your power consumption will allow estimate how much your tank will cost you in electrical usage. 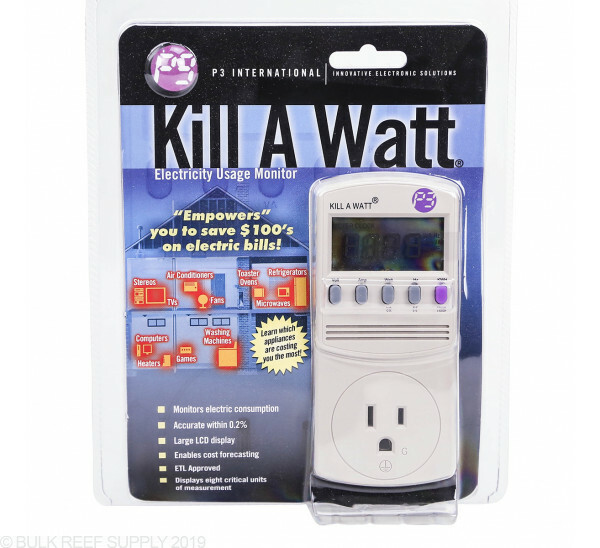 By plugging in your electrical devices the Kill a Watt will tell you how many amps, and watts your pump, heater, or any 120v electrical device. 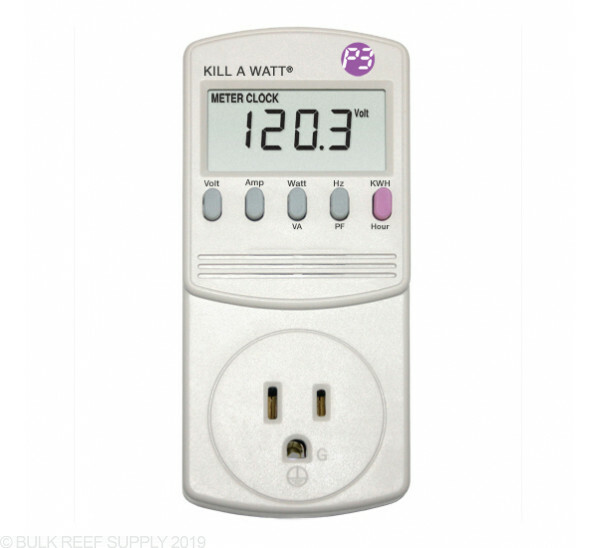 With the ever increasing electrical costs having the ability to monitor the efficiency of your pumps and lights can save you money in the long run. 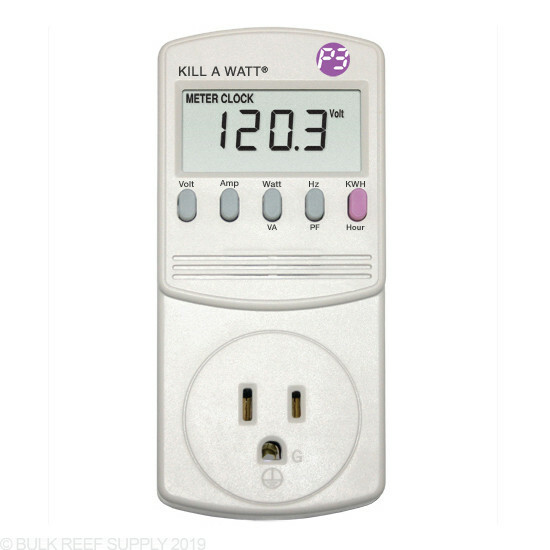 All pumps, lights, and other electrical devices are not created equal. 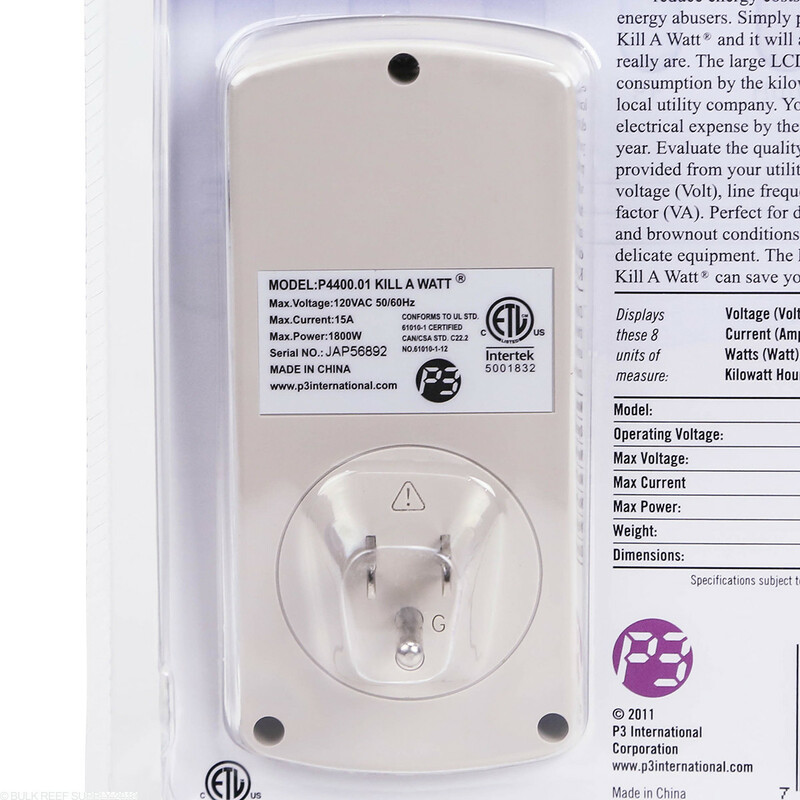 You may have two different lights both rated for 100 watts but it could easily be pulling up to 50% more power than its rating, which is generated as heat, and other inefficiencies that can cost a lot of money over time. 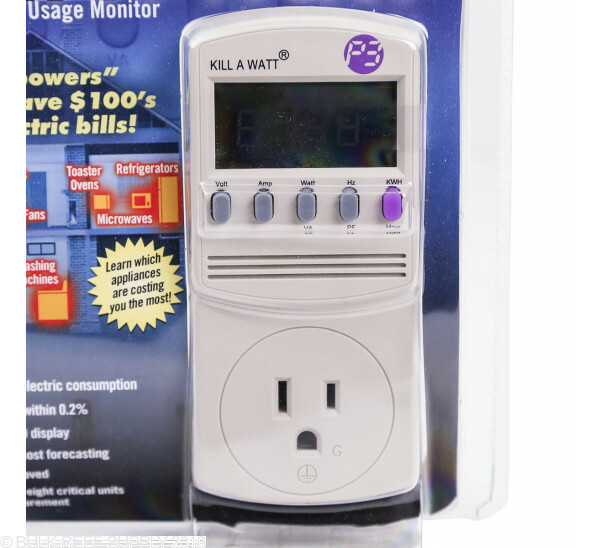 The Kill A Watt is designed to help you identify what is costing you money in electricity or troubleshoot any power consumption issues. 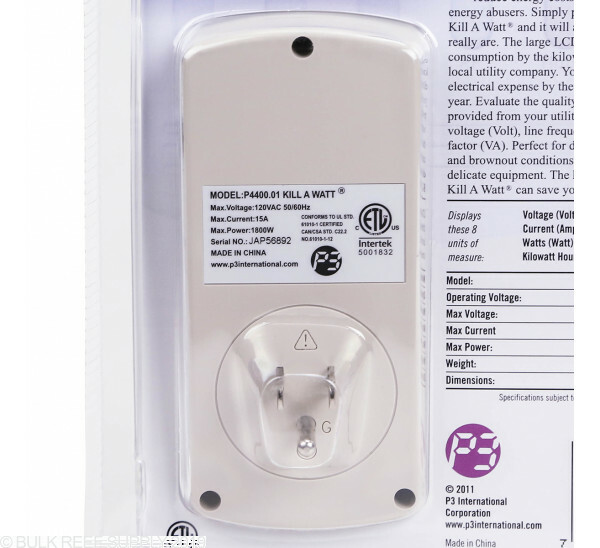 We like to hook up any product we put on our tank to a Kill A Watt to make sure it meets the manufacturers claims and is an actually efficient piece of equipment that wont cost us twice as much in power consumption. 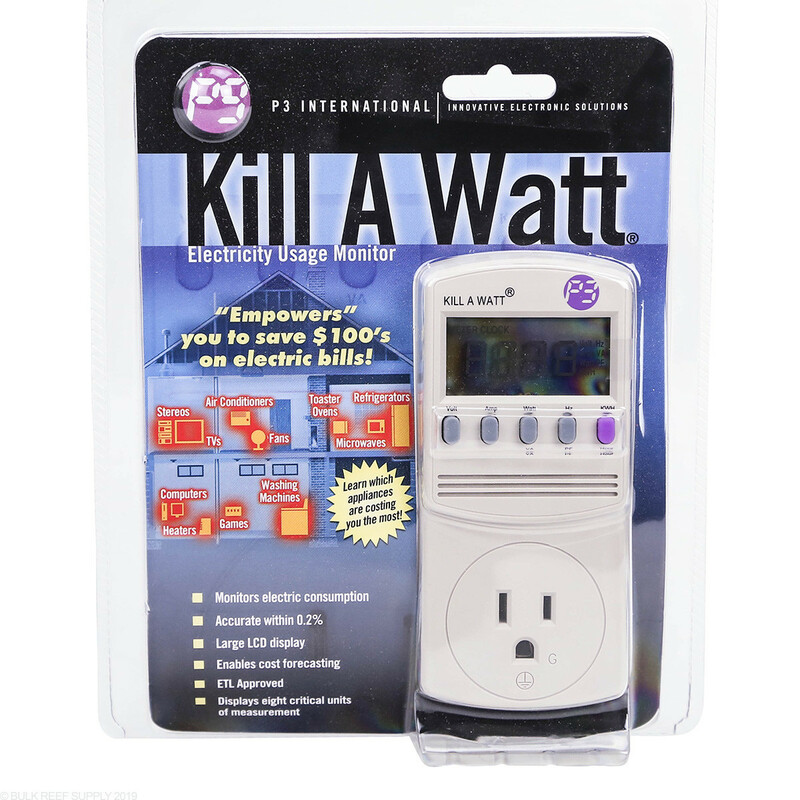 We have found by spending a little more upfront on quality items like pumps and lights that are efficient with their electrical consumption, overall operating costs and generated heat goes down. Dimensions - 5.125" x 2.375" x 1.625"